Case Keenum is working diligently to improve. Credit: Ron Chenoy, USA TODAY Sports. Case Keenum knows what he’s gotten himself into; he’s the starting quarterback on the Denver Broncos, a team with a long legacy of some legendary, and many more forgettable, QBs. 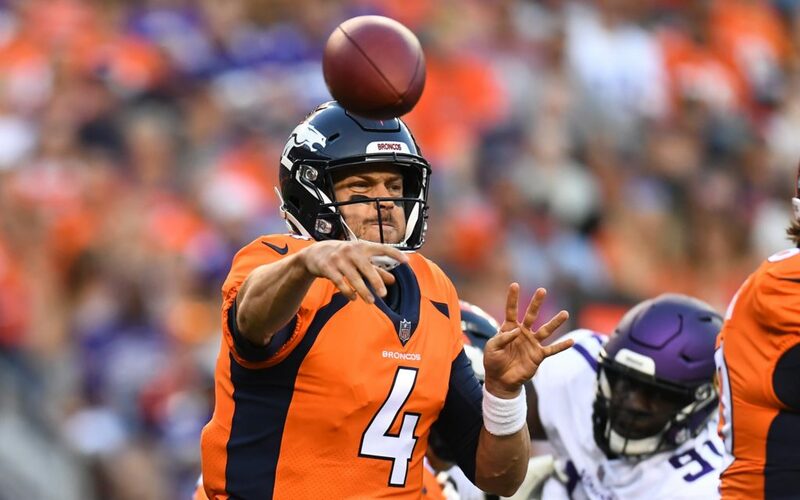 He gets it, Keenum knows he’s under the microscope here in Denver, and even if it is just preseason currently, it’s important to the journeyman quarterback to give his team the best chance to win. “It’s important for me every time I step on the field,” Keenum said at Dove Valley after practice Wednesday. “I’m looking to be excellent every time I step on the field. No matter if I’m practicing against the Bears, if I’m coming back to walkthroughs this afternoon—I want to be sharp, maybe a mental sharpness for walkthroughs. “I want to be sharp anytime I step on the field and I want to make sure I give our team the best possible chance to win no matter what,” he finished. In the preseason opening loss to the Minnesota Vikings on Saturday, Keenum struggled, going 1-4 as the offense went three-and-out in his two series. This week, he wants to do more in order to continue to prepare well for the coming regular season. Broncos fans want to see Keenum and the offense score, too, of course. Hey, he is the $36 million man and some are wondering if he’ll pay off. Luckily, fans and the front office can rest easy because it sounds like Keenum is willing to put in the time necessary to be a great quarterback.